First came the “regular” Vivoactive 3 GPS smartwatch with wrist payment support and up to seven days of battery life. Then Garmin added on-device music storage capabilities (without jacking up the $300 price), aptly dubbing the “new” wearable device the Vivoactive 3 Music. Now the time has come for the company to finally follow in the footsteps of Apple or Samsung with its first-ever LTE-enabled smartwatch. 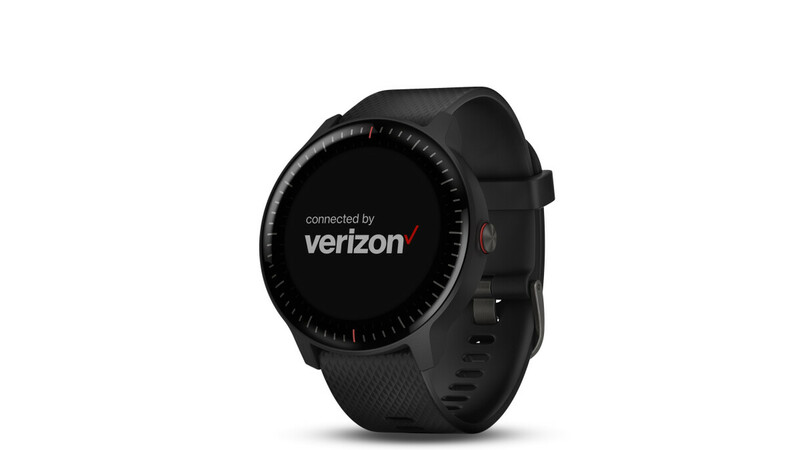 This is not that different from the Vivoactive 3 and Vivoactive 3 Music, so it’s clunkily named the Garmin Vivoactive 3 Music - connected by Verizon. Yes, really. Cumbersome moniker aside, the refreshed gadget has quite a lot going for it. Robust and “safe for swimming and showering”, i.e. resistant at water immersion up to 50 meters deep, the Verizon-connected timepiece is also far from bulky, at 39 grams, while sporting a sunlight-visible 1.2-inch Chroma display protected by Gorilla Glass 3. But you already knew all that, so let’s talk about what makes this new variant special. In addition to standalone 4G LTE connectivity, you’re looking at a few interesting “safety” features as well. Namely, emergency assistance and automatic incident detection. The former allows you to discreetly notify emergency contacts in situations where you might feel unsafe for any reason by holding a button for five seconds, with the latter working a little like Apple’s fall detection functionality. Garmin claims the Vivoactive 3 Music - connected by Verizon can sense when the user experiences an “impact” while walking, running, or cycling, although we’ll obviously need to wait and see how accurate the thing is out in the real world. As for the built-in 4G LTE feature, it’s important to highlight voice calls are not supported. Instead, all that the ALT1210 LTE chipset does is enable text message functionality (both to and from the smartwatch), as well as music downloads on the move, no connected phone required. Unfortunately, actual music streaming doesn’t appear to be supported either, and Spotify download capabilities are not ready yet. Garmin is not ready to share pricing details either, promising Q1 availability nonetheless.